Glasgowmusic.co.uk - Review : "Steve Grozier - A Place We Called Home"
"Glasgow-based, country singer-songwriter Steve Grozier releases his latest EP A Place We Called Home." 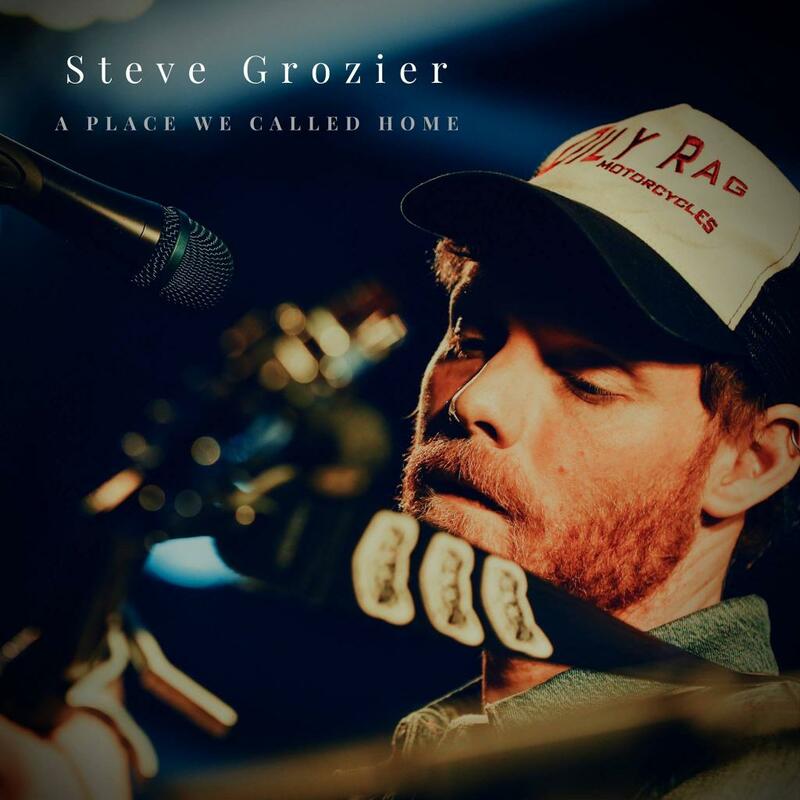 Singer-songwriter Steve Grozier releases his sophomore EP A Place We Called Home, his second in the space of twelve months. Following on the back of a busy year featuring a myriad of featival appearances and support slots, the prolific musician readies his new release backed by familiar faces Roscoe Wilson and John Dunlop borrowed from fellow country stars Anton & The Colts, as well as new addition Pete Colquhoun on drums. The EP kicks off with the dark, rocking Where The Roses Grow. A departure from Groziers other material, its a gritty and distortion-heavy affair, before giving way to a flamenco-inspired chorus. The more familiar-sounding The Hardest Thing follows, and is easily the highlight of the record. Lap steel breezes throughout this slow-burner which leads into an utterly gorgeous, harmony-led chorus. A Place We Called Home is significantly more assured than its predecessor, and the added confidence is evident in Groziers songwriting. His lyrics evoke feelings of loss, and seldom get more heart-wrenching than on Nothing Feels The Same where he laments; "Our love it didnt survive the winter, now Im tired and Im torn". Groziers vocal has a natural quiver, lending his songs a world-weary believability. The title track, which closes proceedings, showcases his voice at its finest, with an autobiographical pine for a lost lover. Grozier is helped by a band who understand exactly what is required of them. The understated rhythm section of Dunlop and Colquhoun keep things ticking over, allowing virtuosic guitarist Roscoe Wilson free reign to pepper the tracks with his now signature solos. Being primarily described as an alt-country musician, the comparisons to Ryan Adams are inevitable, and while the similarities are evident, Grozier is more fitting with the new wave of acts, such as Sam Outlaw and Courtney Marie Andrews, who deliver a modern take on classic country. There are fewer more talented country artists in the UK at present, and it is seemingly a matter of time before the singer-songwriter gets the recognition his material is so deserving of. A Place We Called Home is out now on 1232 Records. This review has been viewed 3694 times.